Sorry to have skipped a week and to be posting on Monday again. Happy (and safe!) Fourth of July to all! Who Are We? I was known as one of the most athletic actors of my day, yet when I tried to enter the military in WWII I was found to be physically unfit. One of my closest friends (also an actor) made a scathing comment to the press about people who play heroes in the movies but won't fight in real life, not knowing about my health problems. Who Are We? Answer: Becks already mentioned Errol Flynn, who was indeed the "athletic actor" I had in mind. He was 4F due to an enlarged heart with a murmur, a previous heart attack, recurrent malaria, chronic back pain, chronic tuberculosis, and numerous venereal diseases. The rest of the answer, i.e., his pal who threw him under the bus to the press, is David Niven. Who Said This In Which Film? Person #1 "Wings? I don't have wings!" Person #2: "Of course not. You're a boy." Who Said This In Which Film? 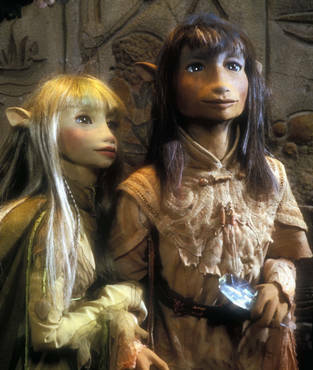 Answer: Person #1 is Jim Henson (as Jen the Gelfling), Person #2 is Kathryn Mullen (Kira) in The Dark Crystal. Who Am I? 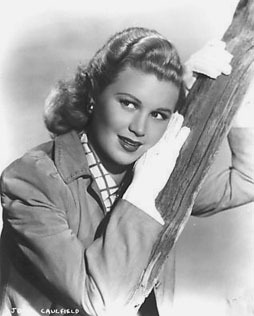 I'm an actress who made two films for John Cromwell, and I was also in one of Elvis' first films. Who Am I? 1. Name the two films Who Am I? made for John Cromwell. 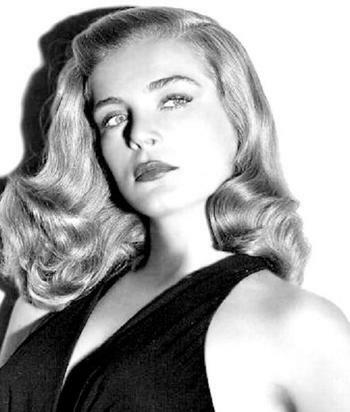 Answer: Turns out that Lizabeth Scott actually made three for Cromwell: Dead Reckoning, The Company She Keeps, and The Racket. And here is TT88....since today is the 4th of July, we hope that none of these questions will be "duds", LOL! 1. 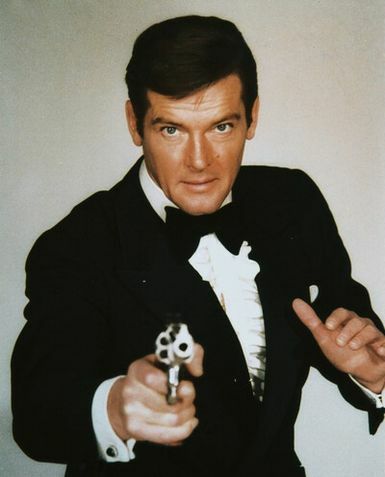 Name three TV series featuring Roger Moore. 3. Name a director who began his career doing montages at Warner Brothers. 4. 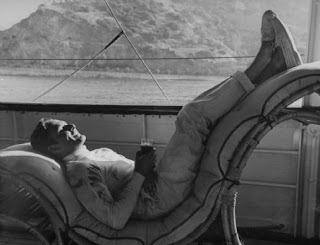 Name two films Paul Newman and Steve McQueen made together. 8. What do the TV shows Dr. Kildare, Barnaby Jones, and Room 222 have in common? 9. Before he got his gig on Star Trek, this actor had a part on one episode of I Spy as a Vegas lounge singer. Name him. Free pass for next TT if you can name the episode! I want a free pass! So, for #9, I'll guess Walter Koenig, who played Chekov in TREK and appeared in I SPY the episode "Sparrow Hawk." For #8, I'll guess it's that Jerry Goldsmith did the theme for all three shows. Wow, I'm making these too easy Rick! LOL! Yes, you're right on both, and you've got your free pass....congrats! Wanna take a shot at the other I Spy question (#6)? For #3, the director who began w/montages at Warner Bros, that would be Don Siegel - one of the montages he did was for the opening of the film "Casablanca." 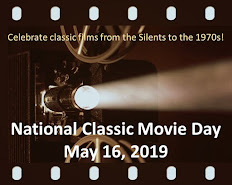 Welcome Grand Old Movies! Yep, you are absolutely right...good job! David Niven said that about Flynn?!!! I'm really surprised. They were buddies at the beach house they called Cirrhosis by the Sea. Do you know why Niven did that?! Love Flynn picture -- but what is that bizarre outfit? Looks like it has a floral pattern! Hopefully it isn't flowers, but perhaps he was painting the yacht and got paint splashed on him! Oh yeah, the quiz: #4 is Towering Inferno and Somebody Up There Likes Me. Becks, yes, David Niven is reported to have said some nasty things about Flynn. The story of Niven spouting off about Flynn's lack of patriotism and courage to the press is in one of David Bret's books on Flynn: Errol Flynn: Gentleman Hellraiser. Admittedly this book is said to be highly inaccurate by some, but it is reported by more than one source that Niven often stated of his friend, "You can count on Errol Flynn, he'll always let you down." 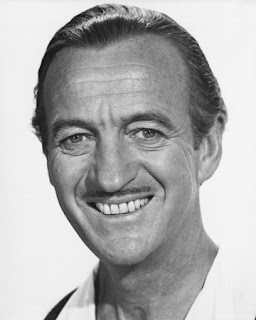 So it is quite possible that Niven joined others in believing that Errol was a cowardly and self-serving so-and-so who didn't care about anyone but himself, particularly because Niven spent much of WWII in mortal danger as a commando. Oh yeah, you're right about #4, lol! Good job! P.S. JoAnn is glad you like the picture (it's another "candid" one!) but doesn't believe that Errol is wearing a flowered shirt! #5(c) This one is Blue Skies - nominated for music score and best song (but didn't win). Well, JoAnn, perhaps it is an abstract art outfit -- it's on the pants too! Becks, very good! 5(c) is indeed Blue Skies! I think Flynn was mud-wrestling, LOL! P.S. It's too bad people unfairly accused Errol Flynn of deliberately avoiding military service, since he tried very hard to join the military, but was too ill to pass the physicals. The studio kept his medical issues a deep, dark secret of course, because it would affect their profit margins if people knew that he was actually not the physically perfect person he was portrayed to be. So this ultimately set him up to look like a draft dodger. Paul, I always liked Errol Flynn's little comment: "It isn't what they say about you, it's what they whisper about you." On #1, How about The Saint, Maverick (though I think he was only in one season? ), and Ivanhoe. I've never seen the latter, but always wanted to, as I'm partial to the Ivanhoe story and am very curious on this old series! DKoren, way to go....you're absolutely correct! P.S. 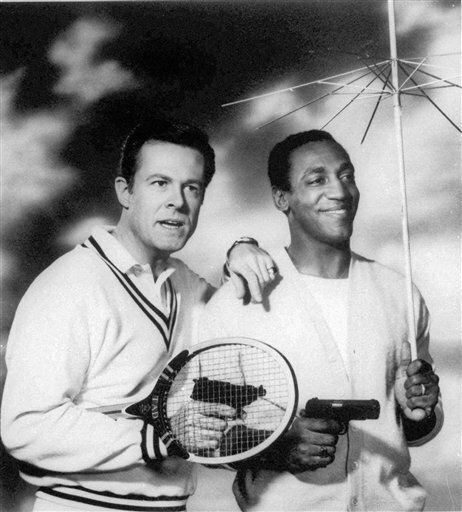 I would have also accepted the series, The Persuaders!.